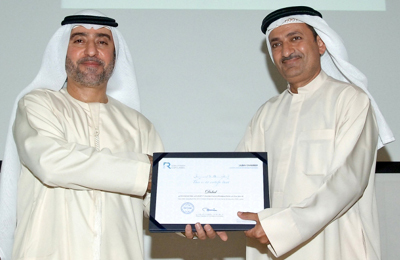 Dubai Aluminium (Dubal), a leading aluminium smelter, was recently awarded the Dubai Chamber 2012 CSR Label, which honours the company’s efforts towards sustainability. The accolade was presented at a dedicated ceremony hosted by the Dubai Chamber of Commerce and Industry Centre for Responsible Business at the Dubai Chamber’s premises. “In 1979, our site’s location 35km outside Dubai was remote from other developments. Since then, the city has also expanded dramatically and today Dubal has many close neighbours, both residential and industrial. Having always applied an integrated strategy based on a sustainable business philosophy, Dubal has consistently created value for all our stakeholders in the three dimensions of triple bottom-line reporting – namely economic, environmental and social.